Once upon a time, a family in the Briers North Subdivision decided to add some larger-than-life decorations to their home for Halloween. A number of people stopped by to admire them and began trick-or-treating in our quiet neighborhood. The next year, encouraged by the positive response, more families decorated their homes and wore costumes to give candy to trick-or-treaters. Even more visitors came by to trick-or-treat that Halloween. And so the tradition grew until the number of visitors in 2004 was estimated in excess of 5,000. 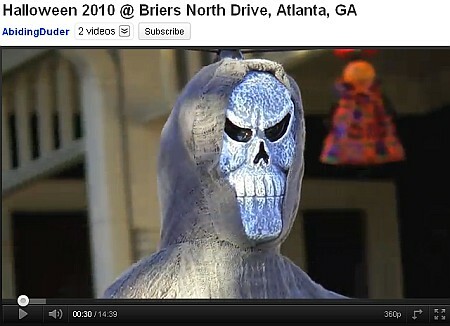 Halloween @ Briers North continues to bring visitors from around Georgia, as well as from outside of the state. The community's households all contribute to the celebration: whether it is distributing candy, adding decorations, or paying for the cost of Police to direct traffic and keep everyone safe. You may even find a haunted house or two! from 6 pm to 8:30 pm on Wednesday, October 31, 2012. 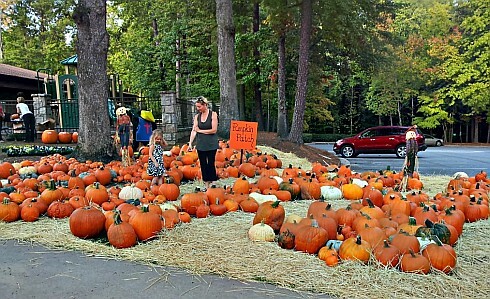 We have learned that North Peachtree Baptist Church at the corner of Tilly Mill and North Peachtree will not be holding a fall festival this year. The church has donated the use of the parking lot to their Explorer Scouts. The Scouts will be raising funds by accepting donations for parking at the church parking lot. Help out the Explorer Scouts when you come to see us at Halloween. TRICK-OR-TREATING IN BRIERS NORTH AT HALLOWEEN IS AT YOUR OWN RISK. This is a public event on public streets and is NOT sponsored by any association or group. Briers North assumes no liability or responsibility for visitors. THERE IS NO PARKING INSIDE THE BRIERS NORTH SUBDIVISION. The size of the crowds prohibits vehicle traffic. Only emergencies will be accommodated. If you must park nearby, be sure to do so legally; residents of nearby subdivisions can and will have cars towed if left on their property! NO PETS ALLOWED during trick-or-treating. PLEASE RESPECT THE RESIDENTS' PROPERTY. Yards are usually roped off, both for their protection and the safety of our visitors. Please do not enter fenced-off areas or enter private property without permission. Most residents do not permit trick-or-treat visitors in their homes. DONATIONS ARE ACCEPTED at the entrance of Briers North Subdivision to offset the substantial cost of police and safety equipment. If you enjoy the festivities, please help us continue the tradition of keeping it safe. Resident Safety Patrols will be working with Police to help out with any issues. Look for the blue and yellow vests for help with lost children, etc. 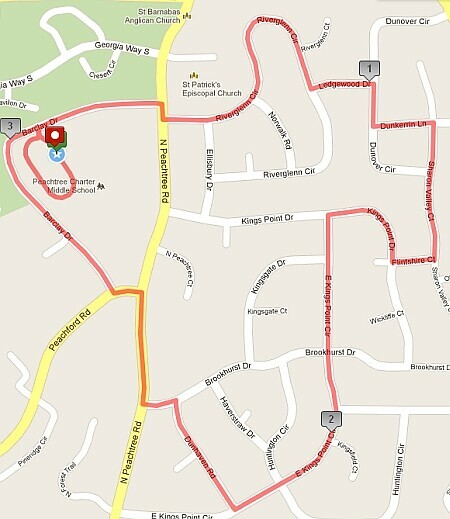 LAST CALL: 8:30 PM Police and Resident Safety Patrols will start clearing the streets at this time. No additional visitors will be let into the subdivision. Residents will stop distributing candy by 9:00 pm and all non-residents will be asked to leave. The celebration will be over at 9:30 pm so our residents can rest. At Monday's Dunwoody City Council Meeting several items were voted upon which surprised a few people, though as budgetary items they were fair game at the final vote of the budget. The items below were both budget amendments to remove funding for specific projects or to remove funding for a specific aspect of a project. The amendment to remove funding of the Womack Vermack roundabout was successful and the amendment to remove the funding needed to move the dog park to a better suited location until a decision could be made by Council if they wanted to close the dog park, failed to pass. Could Green Crosswalks make Dunwoody a safer place to walk as well as be a distinctive characteristic for our city? 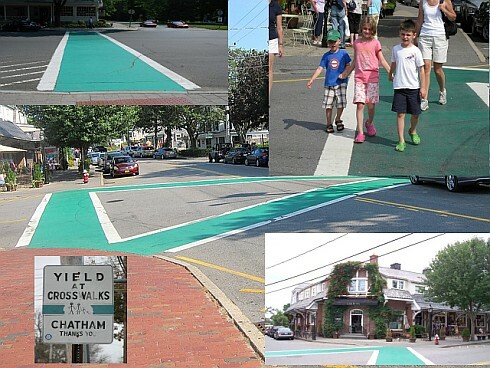 A friend (and Dunwoody resident) just returned from Chatham, Massachusetts which is located on Cape Cod and she was really impressed with the distinctive crosswalks that they utilized. The standard white lines (maybe a little thicker than what we see here) filled in with a sea green color was used all over town and I am told that people were easier to see while crossing and that it was a very distinctive feature within the city limits not found elsewhere. 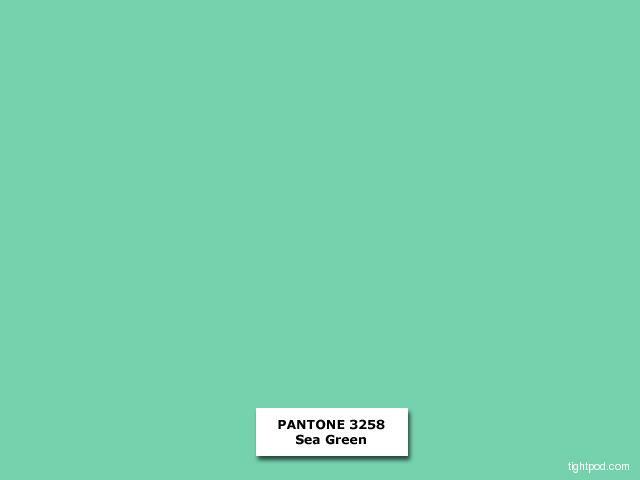 Distinctively colored crosswalks are not really new as we are all familiar with brick or raised walking paths but those can also be problematic for wheelchairs or women in heels therefore are sometimes frowned upon. As I reviewed the the Manual on Uniform Traffic Control Devices (MUTCD), I discovered in Chapter 3G.01 (page 428) that this practice of a painted crosswalk is allowable. Recap to the best of my memory. 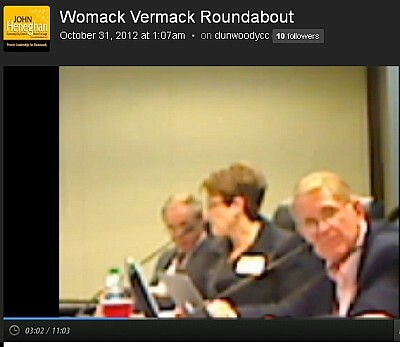 Womack Vermack Roundabout removed from the 2013 budget. Deferred the City Council 2013 Meeting Schedule. Approval of Facility Use Agreements with Affiliated Programming Partners. Approval of Park Rental Fees. Approval of Agreement with ConnectSouth for Georgia Legislative Support. Approved RZ 12-101: Pursuant to the City of Dunwoody Zoning Ordinance, Walton Ashwood, LLC, Owner of 1000 Ashwood Parkway, Seeks Permission to Rezone Property Currently Zoned Office-Institution Conditional (O-Ic) to Office-Institution Conditional (O-Ic) to Allow for a Change of Previous Conditions. Approved RZ 12-102: Pursuant to the City of Dunwoody Zoning Ordinance, Charles P. Stephens, Owner of 1725 Mount Vernon Road, Seeks Permission to Rezone Property Currently Zoned Office-Institution Conditional (O-Ic) to Office-Institution Conditional (O-Ic) to Allow for a Change of Previous Conditions. 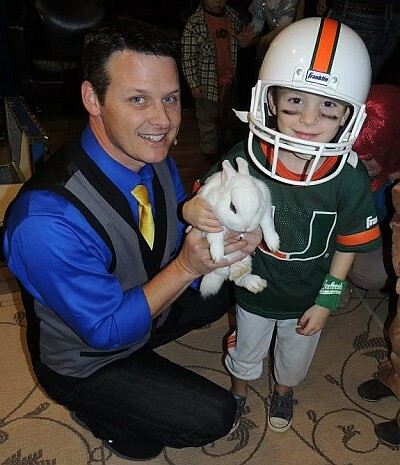 Ken Scott Magic performed a fantastic show for the Heneghan family and we highly recommend him. 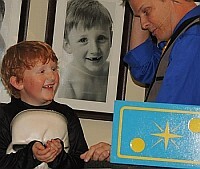 Mr. Ken Scott performed a fantastic, hour long, magic / comedy show for about 70 children in the Heneghan home and he thoroughly amazed and captivated everyone's attention (including me). We highly recommend Ken Scott Magic and already know that we will be booking him again for next year's little gathering that we host. 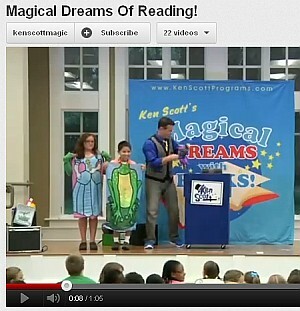 Ken is a professional entertainer who has twice been named the Atlanta Magician of the Year, he has performed at the White House five times, been on America's Funniest Home Videos but the most impressive credential is that he has also performed at the Dunwoody Library for educational programs that he also specializes in performing. If you are looking to offer a large scale School Assembly Program please check out Ken's credentials. Could a local Dunwoody woman convince Costco to donate 1,000's of lbs of useable food per year to those who are Hungry? If anybody could convince Costco to donate food to the hungry that they would be usually be throwing away, Pattie Baker can. Dunwoody High School Newspaper needs community support - subscribe today. After a several year hiatus, the Dunwoody High School Newspaper, renamed “Wildcats Today”, has published its first issue. 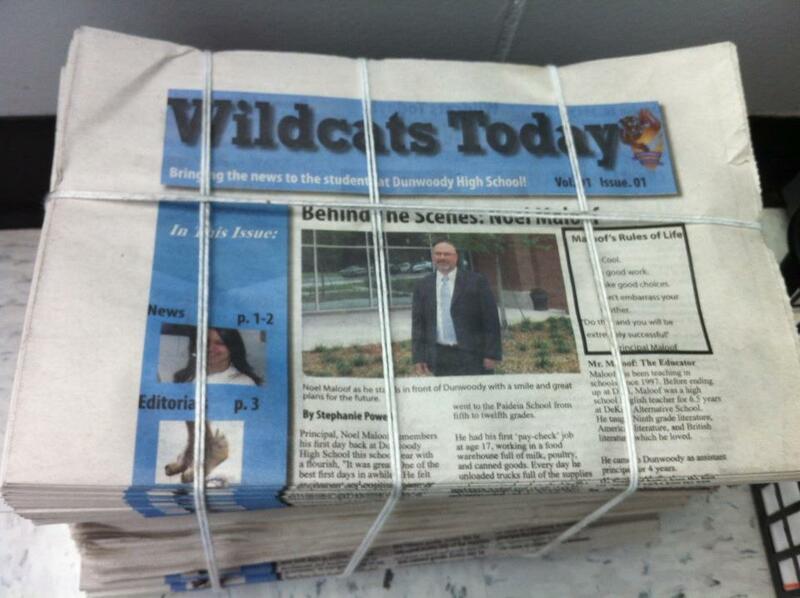 You can support DHS students and the school newspaper, by becoming a Patron of the “Wildcats Today”. Patrons will be mailed copies of the paper for a $30 yearly donation. The next issue will be published in December. On Friday, November 9 at 10:00 AM Johnny Appleseed is coming to the Dunwoody Community Garden at Brook Run Park. Well, not literally, but certainly in spirit. This past August it was announced that the Dunwoody Community Garden at Brook Run Park had won a complete orchard in a nationwide contest sponsored by Edy’s Fruit Bars. 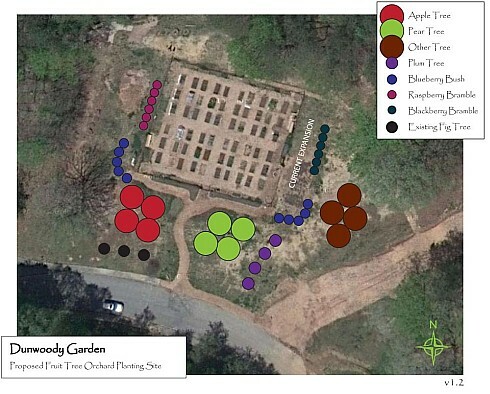 The Dunwoody Community Garden will receive more than 20 fruit trees and at least 15 berry bushes to plant on the grounds of the Community Garden. The trees will include apples, pears, plums, persimmon, pawpaw and pomegranate. There will be a ceremony on November 9 at 10:00 AM for the presentation of the trees by Edy’s and the Fruit Tree Planting Foundation which is overseeing the planting of the orchards. Following opening ceremonies, volunteers will begin the work of planting the orchard. Luckily, Handy Andy Outdoors of Chamblee has contributed equipment to dig the planting holes and that bit of hard work is already done. Refreshments and lunch will be provided to volunteers doing the planting work. Representatives from the DeKalb Master Gardeners, the Dunwoody Community Garden and civic groups will attend and take part in the planting. Dunwoody’s Mayor and City Council representatives will also attend. Those wishing to join the volunteers in the planting should arrive at 9:30 AM. They should bring gloves, scissors or trowel for separating roots and a shovel for back filling the hole. Lunch will be provided in the barn. A free seminar afterward will be provided by certified arborist Rico Montenegro of the Fruit Tree Planting Association. Each year Dunwoody Community Garden has contributed over a ton of fresh vegetables grown in their organic Garden to St. Patrick’s Church Food Pantry and the Interfaith Outreach Home. Now they will be adding fresh, healthily grown fruit to those contributions. The public is encouraged to attend and enjoy the activities planned. Administration Degree from Ferris University. Recognition of Citizen's Police Academy Graduating Class. Conditional (O-Ic) to Allow for a Change of Previous Conditions. PUBLIC HEARING & SECOND READ RZ 12-102: Pursuant to the City of Dunwoody Zoning Ordinance, Charles P. Stephens, Owner of 1725 Mount Vernon Road, Seeks Permission to Rezone Property Currently Zoned Office-Institution Conditional (O-Ic) to Office-Institution Conditional (O-Ic) to Allow for a Change of Previous Conditions. Injured Hawk rescued by Dunwoody man and bird turned over to DeKalb Animal Service for care. 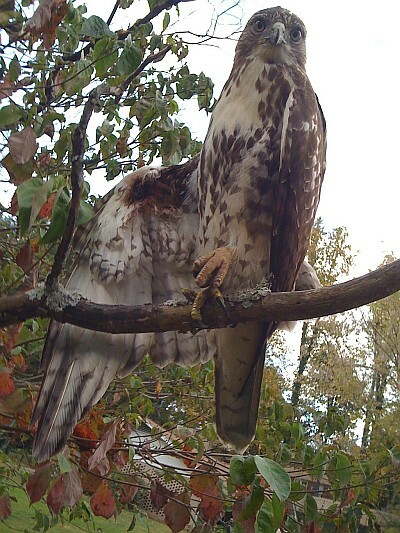 Dunwoody North resident Gary Betz found an injured hawk in distress and didn't know what to do so he posted the picture above to the comments of my blog, to twitter and probably a few other social media sites. Within minutes he was receiving replies and suggestions on how to help the bird. After Gary rescued the bird out of the tree, the hawk was transferred over to DeKalb County Animal Services where they hope to rehabilitate him and release it once again to watch over the fine City of Dunwoody. Kudos good man. Below are a few of Gary's tweets from the evening. *** Hawk Emergency *** I'm in Dunwoody, Georgia and 100 yards away from me is this wounded hawk. Who should I go to? Every place is ether closed or say they can assist if I bring the hawk in. Putting on my gloves & safety glasses now. Sadly yes, it has flies coming from the wound in its right wing. Has a bone showing. About 7 feet up in the tree. 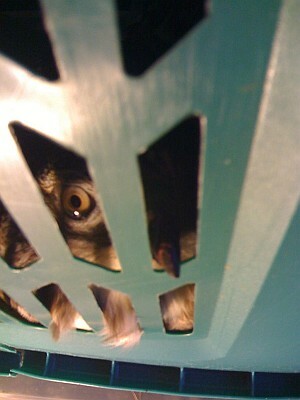 Captured the wounded hawk with a couple of neighbors and is in my garage now in my laundry basket awaiting AC. So, County Animal Control picked up my hawk, the cool thing is if they are able to rehabilitate her, they will release her at my address. Gary, in doing the research on this, I found the Atlanta Wild Animal Rescue Effort (AWARE) who also could have helped. The Opportunity Expo will take place in Salons 1-3. After parking, the attendants will direct you to the correct glass doors. 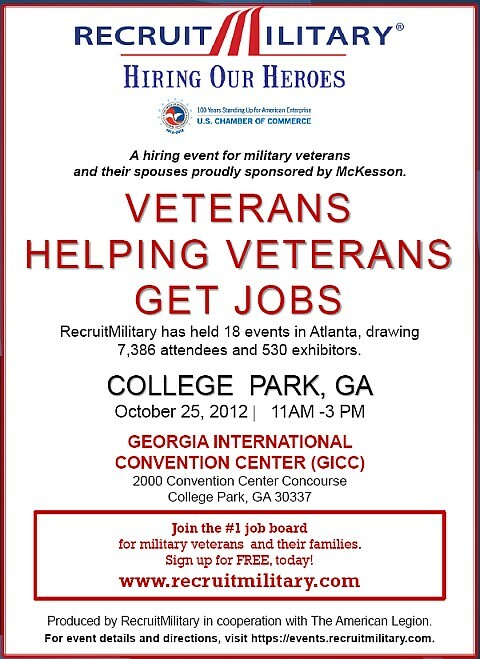 Follow RecruitMilitary signage to the event space, Salons 1-3. Parking is FREE in Lots A, B, and C. You MUST let the Parking Attendant know you are attending the RecruitMilitary event to receive FREE parking. 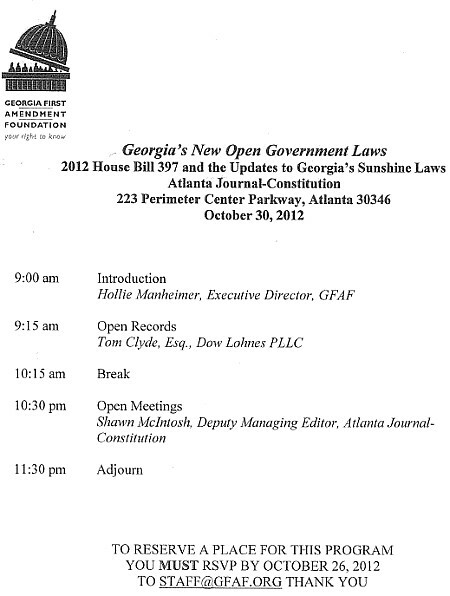 The Georgia First Amendment Foundation has designed a program to discuss the 2012 updates to the Georgia sunshine laws scheduled for October 30, 2012. Please note that the program is free, and open to all, but you must register so they can allocate proper space. Please RSVP to staff@gfaf.org to let them know you are coming. Thank you. PS: the above agenda has a slight typo, the above presentation is only scheduled for two and a half hours though it was suggested to me that I and the other the members of the Dunwoody City Council should be forced to attend the entire fourteen hour affair. Though I have already attended training on the same topic at a conference initiated by Dunwoody City Hall for governments in the North Metro area, I informed my friend that I would attend if my work schedule allowed it. Police Officer in Dunwoody - The City of Dunwoody Police Department is accepting Police Officer applications for future reference. Police Service Representative in Dunwoody - The City of Dunwoody Police Department is accepting Police Officer applications for future reference. Many school districts will be closed for the entire week of Thanksgiving this year and for the first time the Nature Center will be offering parents the chance to keep their kids active and engaged in the days leading up to the Thanksgiving holiday. On Monday and Tuesday, November 19th and 20th the Nature Center will host two days of fun and adventure for Kindergarten through 5th grade students as they explore the earth's bounty and learn to appreciate all that nature has to offer. Campers will spend the day with nature themed crafts, activities, games and outdoor play as they investigate the habitats of Dunwoody Park. Both early morning drop offs and late afternoon pick-ups are available to better accommodate the schedules of working parents. Online registration begins on Monday, October 29th for the Thanksgiving break camp on the Nature Center’s website at http://www.dunwoodynature.org/Camps . The Nature Center will also be offering its popular Winter Break camps this year, and for the first time will be offering two separate sessions of half week camps immediately following Christmas and New Years day. Registration opens on October 29th for these camps as well for both elementary and pre-school aged children. 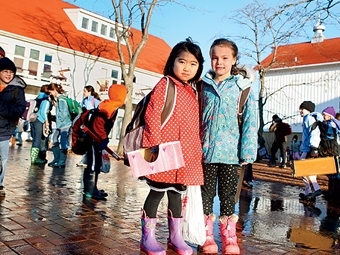 Children will have the opportunity to join our staff of educators as they explore the winter climate and study its effect on the animals, plants, and habitats of Dunwoody Park. These camps allow children who are staying in town for the holidays the chance to reconnect with nature in a structured environment. Running Wednesday through Friday, these camps will feature games, crafts and daily hikes to discover nature’s winter secrets. Full-day camps will also have a visit during the week from a wildlife expert who will be bringing in some of the animals that campers learn about during the week to demonstrate firsthand how they adapt to the winter. 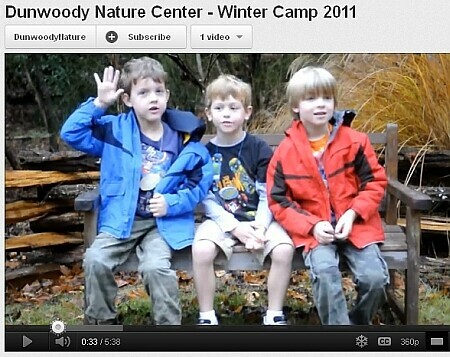 Registration for Winter Break camps is available on the Nature Center’s website at http://www.dunwoodynature.org/Camps . When: Monday and Tuesday, November 19th and 20th. Breakfast 8:30 a.m. / Meeting 9:00 a.m. - 12:00 p.m. 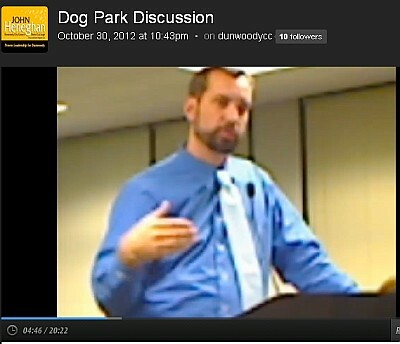 Audio of the Dunwoody Village Design Review Advisory Committee as they discuss the Parkway. Below is my shorthand notes from listening to the audio of the Dunwoody Village Design Review Advisory Committee where they discussed a few proposed design changes in the overlay and then reviewed the plans approved by the City Council to rework the Dunwoody Village Parkway. The complete audio of the meeting is embedded down below and if you have interest in this project I would recommend that you listen to the discussion. As embedded items do not work well in an email version, please visit the main page to listen to the file found at the bottom of this page. At the start of the Parkway discussion, (a couple of minutes in) Mr. Bill Grant, Chairman of the Dunwoody Chamber of Commerce discusses the proposed change and he seems favorable to the approved plans. High quality trees and flowers will be included along with a watering system to keep it nice. As background information, Mr. Grant, speaking for the Chamber endorsed this project to council the night it was approved as did the Shopping Center Regency and the owner of Village Burger. Former Mayor Ken Wright also spoke to council the same evening whereby he stated that the DHA has been pushing this project forward for years and that the current plan was acceptable to that groups membership in the past. Back in the DRAC meeting, Crosswalk plans were discussed by Mr. Bill Robinson and Mrs. Bev Wingate. Mr. Michael Smith, Dunwoody Public Works Director discusses the fact that if a median in a road has trees in Georgia DOT project then they require a minimum of a 12 foot median. The current median is well below and can not be grandfathered. Left hand turn lanes were discussed, Mr. Bill Grossman, President of the Dunwoody Homeowners Association asks to see if trees are possible in medians at the ends? Determined that the space is needed for the actual turn lanes. The planned bike lanes allow the trees to be closer to the street because there is a minimum safety distance between the the tree trunk and the travel lane. Without the bike lanes, the trees would be pushed further away from the street. Current plan is possible without the purchase of right a way and to keep the median it would cost over 1 Million Dollars which would take away from businesses like Mellow Mushroom. Right of Way is rarely donated as the city must offer full value for the land. Post Office future, could right of way be obtained from Federal Government? DRAC saw it as problematic. Public comments by Gordon Elkins, Norb Leahy, Judy Ford, Joe Hirsh, Janette Smith, Joan Klineman and Jim Dixson. Bev Wingate in council comment, quotes the letter in the Crier by Mr. Doug van Veelen and asks if the City has proof that they own the Parkway as it was built as a private street? City will research. No vote was taken by committee but it appears that the committee by their own admission is finding it very difficult to offer any alternative to what council approved or to keep the median. 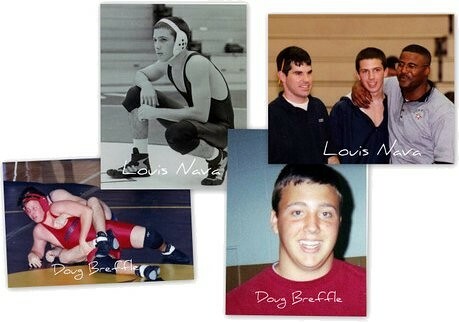 The Nava/Breffle Wresling Club was started to honor the memories of Louis Nava and Doug Breffle. These young men were Dunwoody High School students who loved the sport of wrestling! 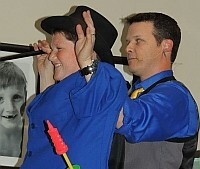 You can read more about the club in these articles at The Dunwoody Crier and The Dunwoody Patch. The Nava / Breffle Wrestling Club is proud to announce that we will soon begin our 2012-2013 season. We are looking forward to another strong year with more athletes and more competition than ever before. For those of you who are new to the program, the Nava / Breffle Wrestling Club is a Team Georgia/USA Wrestling sanctioned youth club held at Dunwoody High School for kids aged 6-14. The club is intended to act as a feeder program for Dunwoody High School, but no one is precluded from the program. For those of you that are new to wrestling, the discipline, self confidence and sense of urgency learned in wrestling translates extremely well into success in other sports and life in general. Your kids will learn balance, coordination, and footwork that will help them in all other sports. Most importantly, your kids will learn to stand in front of and engage an opponent of roughly the same age and weight and learn to give maximum effort. The season begins November 13th and there will be a parent meeting on November 7th at Dunwoody High School. For more information and to register, visit NavaBreffleWrestling.com or call 404-543-0855. Attendance at Chamber events constitutes consent to the Dunwoody Chamber of Commerce, Inc., to use my/our photograph, name, image, video, statements, or quotes in any medium, including the internet, for any trade, fund raising, promotional or other purposes. CV Classic 5K Fun Run/Walk Sat. Oct. 20 at 8 am. (1 mile at 8:30 am.) Rain or shine. The CV Classic fun run starts on the track at the school at 8 am. Warm ups at 7:40 am. Parking will be limited. Please carpool, drop off, and you may want to park at Chesnut Charter Elementary and walk over. Late registration Sat. Oct. 20 only at 7 - 8 am. $25, no t-shirt. Thanks everybody for your wonderful support. PCMS Drama puts on its Fifth Annual Fall Festival on October 20 to support our spring musical production of Once on This Island, Jr. The Festival will be held, rain or shine, on Saturday, October 20 from 9a-2p at PCMS after the CV Classic. The following is an excerpt from Dunwoody resident Pattie Baker's Foodshed Planet article. It is a moving and compelling article about the importance of Arts in our schools. 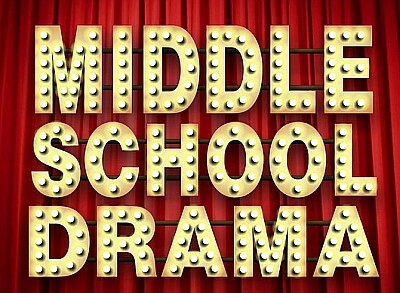 As many of us in the Dunwoody community are aware, the Peachtree Charter Middle School Drama Club IS a place where middle school students CAN become someone special. If you have never had the opportunity to attend a PCMS Drama Club's performance, I urge to take in next spring's performance of "Once On This Island, Jr". The PCMS Drama Club is fully self-funded and needs your support. Please support this year's PMCS Drama Club Fall Festival. The Festival will be held Saturday, October 20th from 9 to 2. "What brings me here?" the 7th grade girl wrote on a piece of torn notebook paper as she leaned forward on the long table in the "cafetorium," as did about 60 other middle school boys and girls at this after-school drama club when asked to address that question. After a short delay, she answered. "When you are on stage, it can be kind of scary, but after you pass your second sentence, you own it." "You can come in, be yourself, and not be judged by anyone,"another wrote. Click here to read the remainder of Patti's article. Airs live Sunday on GPB TV from 5:00 – 6:00 p.m. This Sunday, the Atlanta Press Club will host a moderated forum on Georgia's Charter School Amendment and the surrounding issues. We will also host four general election debates. Watch it live on Georgia Public Broadcasting and ask your questions! Maureen Downey, education reporter for The Atlanta Journal-Constitution, will take your questions live. Viewers are also encouraged to send in questions in advance that may be answered during the live program. Airs live on GPB TV from 5:00 – 6:00 p.m. Hear it again on GPB-Radio Sunday, October 28 7:00 p.m.
Click here for more information on all the Atlanta Press Club Loudermilk-Young Debates. Registration at 7:30 am; ride begins at 8:30 a.m.
WHAT: A wave of bikes will take over the roads of Dunwoody for the 2nd annual Tour de Dunwoody bike event on Saturday, October 20. Organizers, Christine Hilgert and Sean Penn have once again expertly coordinated the Dunwoody Elementary School‘s fall event for an expected 250 riders from the Dunwoody community by working with the Dunwoody Police Department to make sure the participants had an organized and safe ride throughout the Dunwoody streets. The 3 mile family fun ride will leave from Dunwoody Elementary School, travel down Tilly Mill to Peeler then back to the school through the Village Mill neighborhood. The younger participants are able to enjoy a “tot trike ride” – a short bike ride through the Dunwoody Elementary parking lot. Following the bicycle ride, all attendees will be able to have their bikes serviced by REI, bike decorating, face painting, enjoy an inflatable or two and partake in smoothies from The Smoothie Lady (for small fee). The following businesses provided goods and services or donations for this inaugural event: Dr. Jason Kaplan Orthodontics. Kumon, Dental Implants and Aesthetic Specialists of Atlanta, Primrose Schools, RMZ Properties, Chandler et al Attorneys at Law, Griffith Engineering, and Jodi Halpert - Prudential Georgia Realty. This event will be fun for the whole family and will be a great way for the Dunwoody community to enjoy a bike ride together. 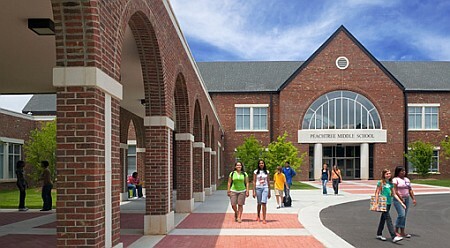 Sign up to join us by going to the Dunwoody Elementary School PTO website at www.dunwoodypto.com. Cost: 5K and 1M - $25.00 until Race Day. Race Day Registration - $30.00. Tot Trot free. Certified as a Peachtree qualifying 5K route, this race begins and ends in the Perimeter Place shopping Center across from Perimeter Mall - conveniently located near two MARTA stations. The course is designed for runners—a fast and challenging course spanning the spectacular Perimeter Flyover Bridge and looping around Perimeter Summit. Fast times in a fabulous setting await the runner. 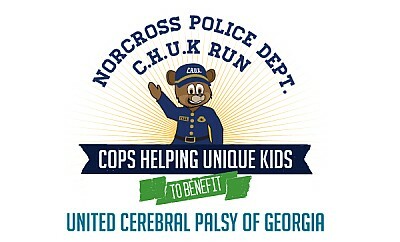 The Norcross Police Department is holding a 5K run this Saturday followed by a free family fun festival with entertainment and activities for Kids of All Abilities!!! If you have never been to Thrasher Park, it is one of my families favorites with a semi-shady playground, new equipment, picnic pavilion, small band shell, local shops across the street and the kids get the opportunity to wave as the train goes by. $5 online 5K registration discount, this week only! Join UCP and the Norcross Police us for a free, fun family day in beautiful Thrasher Park Activities for kids of all abilities! Meet players from the Atlanta Silverbacks & win great prizes! Free Refreshments, goody bags and more.. REGISTRATION FEE: $15 (Price goes up to $20 on October 15th) T-shirt sizes as available for those who register on day of event. 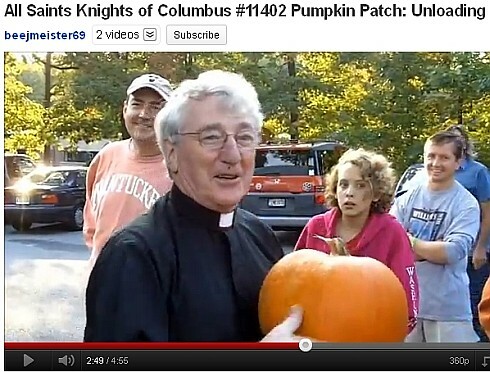 The Knights of Columbus at All Saints Catholic Church again received a whole bunch pumpkins in a 70 foot trailer that was unloaded by 50 of the strongest men & women in the city. The All Saints pumpkin sale will be going on from Nine until Seven on weekends and Noon to Seven on weekdays between now and October 31st. The selection is huge but come early as the best carving ones always go fast. Please stop by, pick up a pumpkin and support this fine charitable organization where I am proud to call myself a member. Thanks. Discussion of Womack at Vermack Intersection Improvement. Discussion and Public Hearing of 2013 Proposed Budget. allow for a change of previous conditions. FIRST READ: RZ 12-102: Pursuant to the City of Dunwoody Zoning Ordinance, Charles P.
a change of previous conditions. Discussion of Agreement with ConnectSouth for Georgia Legislative Support. Discussion of City Council 2013 Meeting Schedule. "What happens during the school day is what makes the big difference," he told board members. "There is no empirical causal data that shows one calendar is better than another. It's a community preference and that's what it is." I just posted a new blog: It's Called a Balance Sheet. Click on the title to read and comment. If you haven't already read my last blog on the subject, please check out The Myth of Local Control. 1. Charter Schools are public schools that must admit students using a blind lottery (if there are more students than spaces). They can't pick and choose. 2. Charter Schools are run by a local group of parents and community members. Charter schools are NOT run by "outside corporations". A board can choose "a la carte" to purchase goods and services (curriculum, financial management, texbooks, etc.) from companies. This is exactly how all districts work. School districts across the state purchase goods and services everyday from a variety of vendors. 3. Charter schools that fail to meet their metrics (academically or financially), are shut down. Failing schools in our school districts can exist in perpetuity. There is no mechanism that automatically shuts down a failing traditional school. If a district doesn't manage your tax dollars well, the district isn't shut down either. In fact, the district can raise your taxes. When districts are failing, the footprint of their failure is much larger than that of one charter school. 4. Competition creates innovations. Even the threat of competition from charter schools can incentivize local districts to create a better, more responsive product. If school districts compete for the business of parents who might choose a charter school, there will be no need for one to open. 5. This argument isn't about money. It's about control. The current establishment has produced an abysmal rate of return on your taxes spent on education. Because they can't "run on their record", they are attempting to distract the public. The state's total FY2012 appropriations: $15.9 billion. Regarding all of the hullabaloo about advocacy and public officials: I support everyone's right to speak out about the amendment and advocate their viewpoint. I do not think it is appropriate to use taxpayer funded distribution methods or assets owned by the public. My website, email list and social media channels, are all owned and maintained by me privately. Come support Kingsley Charter School and enjoy a fun day of food, games, dunk tank, crafts, and jumpies. most beloved authors, New York Times bestselling author JAMES PATTERSON! Mr. Patterson will discuss his passion of finding creative and effective ways of spreading the joy of reading to all ages, and turning kids all across the nation into passionate, literate, and inspired readers. 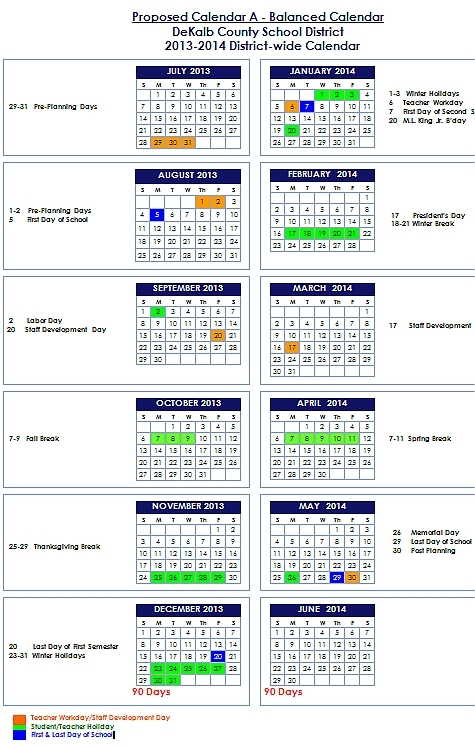 "Balanced School Calendar" approved for DeKalb County starting on August 5th means shorter summer. AJC - The DeKalb County school system will shift to a “balanced” attendance calendar next fall, despite a survey showing most parents oppose the change. The school board voted 6-2 Monday for the new calendar. (Board member Sarah Copelin-Wood was absent.) It will clip nearly two weeks from summer break and sprinkle those vacation days in fall and winter. Superintendent Cheryl Atkinson has said students forget too much during the traditional three-month summer break. She proposed the new calendar after a survey showed most teachers wanted it. School will start Aug. 5 instead of Aug. 12 and will end May 29 instead of May 23. This will allow a three-day fall break from Oct. 7 to Oct. 9 and a four-day winter break — Feb. 18 to Feb. 21 — tacked onto President’s Day. But Nancy Jester and Don McChesney voted no because of the imposition on parents, who will have to find child care during periods when it is harder to find than in summer. “I think we’re losing a lot of parent goodwill,” Jester said. Peachtree Middle – What’s Fact and What’s fiction? Answers for rising 6th Grade parents on Wed Oct 10th. Q&A with a panel of parents from each feeder school, teachers, counselor, and Principal Heptinstall. How is my child placed academically? What are the Gifted, High Achiever, and General Teams? Is there really band, orchestra, or chorus every day? When does my child begin foreign language every day? Can you really earn HS credits in 8th grade? Come and ask an experienced group of parents and educators your toughest questions and get honest answers. There will be 3 additional rising 6th grade parent information meetings scheduled in the spring semester. 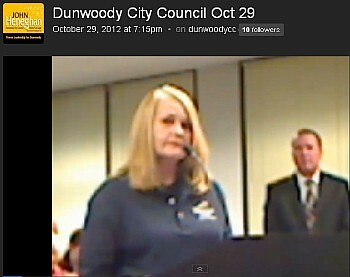 Dunwoody blogger Rick Callihan documents the audio which was used to sue 180 Georgia School Districts. Kudos to Rick Callihan who posted ten audio files he obtained from a recent Georgia School Board Association conference now documented on his Dunwoody Talk blog which substantiates the basis of the law suit mentioned. Mr. Callihan states that the goal of the Georgia School Board Association is to limit choice, maintain their monopoly, and not to allow local parents and business owners to organize their own local board and charter school. This conference was paid for by taxpayer money and the association is now alleged to be using those public funds to train educators to illegally influence an election. 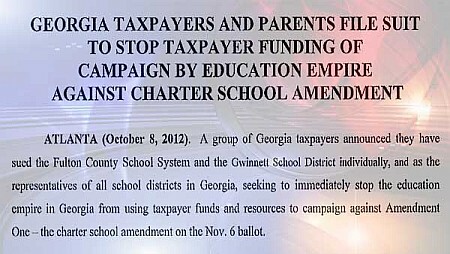 Georgia School Boards Association Using Public Funds to Sway Votes? A group of Georgia taxpayers announced they have sued the Fulton County School System and the Gwinnett School District. The group wants to immediately stop Georgia from using taxpayer funds to campaign against Amendment One, the charter school amendment of the Nov. 6 ballot. The parents and taxpayers are represented by Attorney Glenn Delk. Delk said his clients have evidence that in June, the GSBA held a training meeting attended by board members funded by taxpayers on how to defeat the Amendment. Delk claims to have an audio copy of the meeting. Delk also said in August, State Supt. John Barage issued a press release with anti-Amendment material. He used state resources to disseminate the material to all the school districts and posted the materials on the official DOE website. 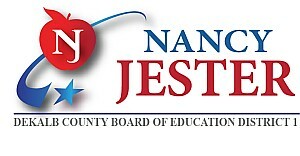 "My clients have reluctantly sued to stop the school districts from using some of the $18.5B taxpayers spend annually on K-12 education, not to educate children, but to conduct an illegal political campaign to return their monopoly control over the money," said Delk.